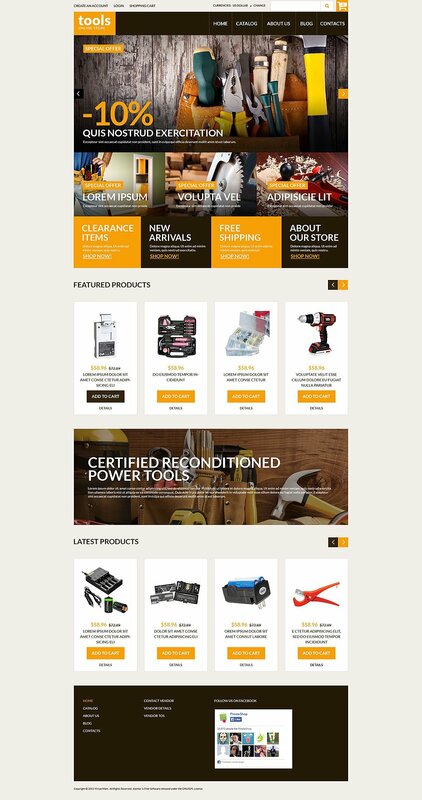 After release of Joomla 3, all VirtueMart driven eCommerce shop owners was eager to see a quick update on the VirtueMart version that can work on the new Joomla 3. But the VirtueMart team took some extra time. After that finally on November 2014 they released the new VirtueMart 3. With the new release of VirtueMart 3 the wait is over. 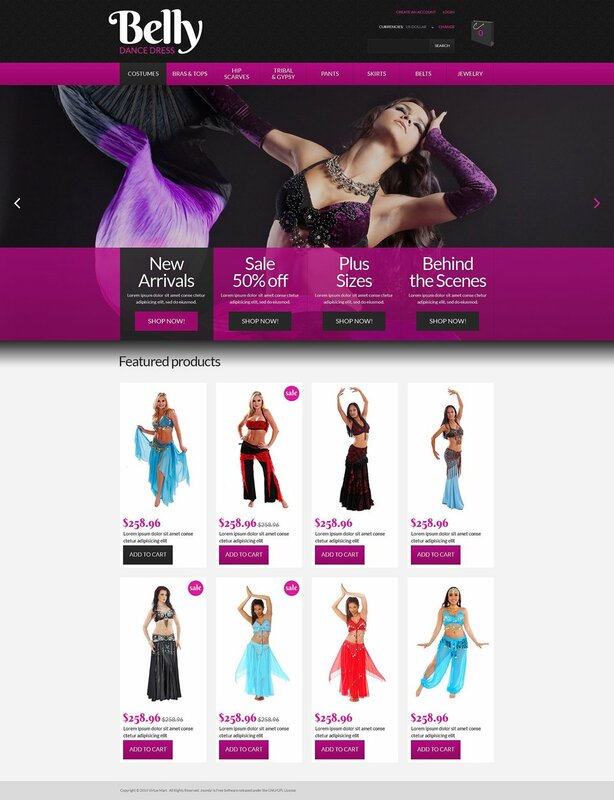 You can now finally use the best Joomla eCommerce extension along with the new Joomla 3. 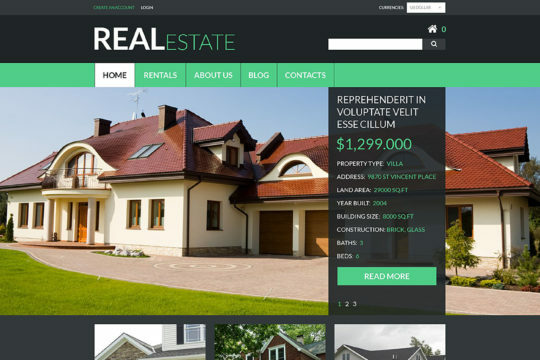 Here in this article we are listing more than 35 hand-picked premium Joomla 3 templates. 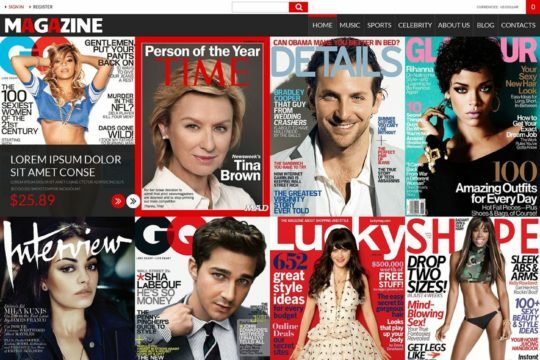 All these templates are Responsive (i.e. 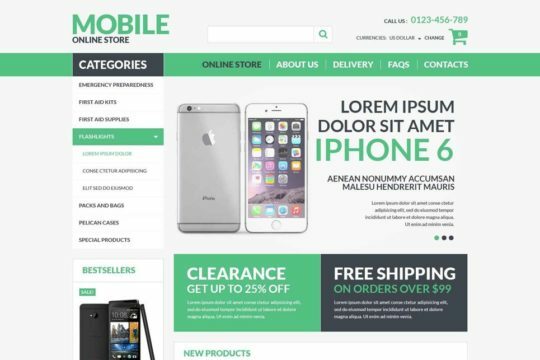 mobile optimized) as well as compatible with the new VirtueMart 3. Review the list and pick your desired template to build your eCommerce store now. 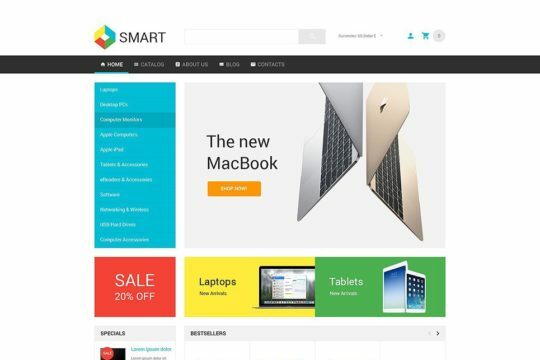 It is listed under "Joomla Template" > "VirtueMart 3". The author name is WT. The name of the publisher is Template Monster. 23+ users are purchased this already. It was first get available on February 06, 2015. It was last get upgraded on April 09, 2019. Tags: Semantic Code, Cloud Zoom, JQuery, Parallax, Sliced PSD, Dropdown Menu, Login Form, 1170 Grid System, Calendar, Tabs, Search Form, HTML 5, Blog, 2 columns, Custom Page Templates, Computer Store Templates, HTML plus JS, Valid Coding, Computers Templates, Commenting System, Sample content, Drop Down Cart, CSS 3, Categories Accordion, eCommerce, Google map, Quickstart Package, Computers & Internet, Crossbrowser Compatibility, LESS, Contact Form, User Registration, Live Search, Favicon, Ajax Shopping Cart, Online Store/Shop, Modules Bundle Install. It is listed under "Joomla Template" > "VirtueMart 3". It is developed by WT. The name of the publisher is Template Monster. More than 38 users are already purchased this. It was first get published on December 31, 2014. On April 17, 2019, it was last get upgraded. Tags: User Registration, Electronics Templates, HTML 5, Mobile Store Templates, Quickstart Package, Sample content, Back To Top Button, Contact Form, Drop Down Cart, Ajax Shopping Cart, Favicon, Sliced PSD, eCommerce, Custom Page Templates, Login Form, Search Form, Live Search, Calendar, Crossbrowser Compatibility, Commenting System, Blog, Semantic Code, Google map, 2 columns, Categories Accordion, HTML plus JS, Cloud Zoom, CSS 3, Dropdown Menu, Lazy Load effect, Tabs, Modules Bundle Install, 1170 Grid System, LESS, JQuery, Online Store/Shop, Valid Coding. It is listed under "Joomla Template" > "VirtueMart 3". The author name is WT. The name of the publisher is Template Monster. More than 10 users are already purchased this. It was first get available on December 30, 2014. It was last get updated on April 11, 2019. Tags: Favicon, Back To Top Button, Modules Bundle Install, Sample content, Calendar, Business & Services, eCommerce, Semantic Code, Tabs, Ajax Shopping Cart, HTML plus JS, Categories Accordion, Google map, Cloud Zoom, Valid Coding, JQuery, Commenting System, Live Search, Online Store/Shop, Dropdown Menu, Search Form, 2 columns, Contact Form, Blog, User Registration, News Portal Templates, Crossbrowser Compatibility, Custom Page Templates, Drop Down Cart, CSS 3, Media Templates, Lazy Load effect, Login Form, HTML 5, LESS, 1170 Grid System, Sliced PSD, Quickstart Package. It is listed under "Joomla Template" > "VirtueMart 3". It is developed by WT. It is published by Template Monster. 62+ users are purchased this already. It was first get released on April 01, 2015. On April 09, 2019, it was last get upgraded. 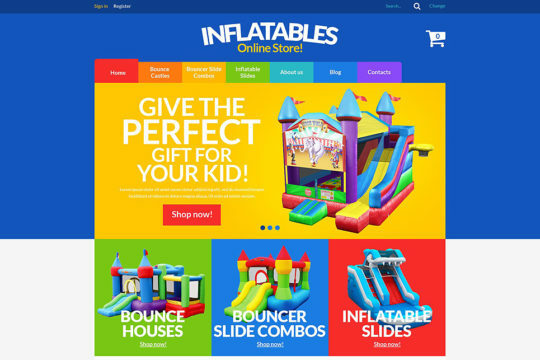 Tags: Home & Family, Live Search, Favicon, Dropdown Menu, 1170 Grid System, Contact Form, Commenting System, Custom Page Templates, Ajax Shopping Cart, Google map, Sliced PSD, Cloud Zoom, HTML plus JS, Tabs, CSS 3, User Registration, Crossbrowser Compatibility, Search Form, JQuery, Blog, Online Store/Shop, HTML 5, Login Form, Calendar, Quickstart Package, LESS, Sample content, Valid Coding, Categories Accordion, Modules Bundle Install, Semantic Code, 2 columns, Tools & Equipment Templates, eCommerce, Drop Down Cart. 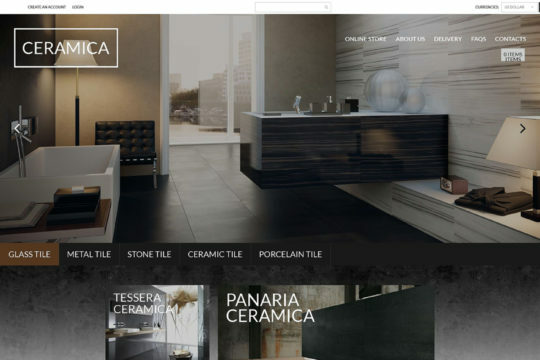 It is listed under "Joomla Template" > "VirtueMart 3". The author name is WT. The publisher name is Template Monster. 53+ users are already purchased this. It was first get available on April 03, 2015. It was last get upgraded on April 11, 2019. Tags: Semantic Code, Live Search, Sample content, Dropdown Menu, User Registration, Crossbrowser Compatibility, CSS 3, Favicon, HTML 5, Ajax Shopping Cart, Contact Form, Custom Page Templates, Calendar, JQuery, Blog, eCommerce, Login Form, Tabs, Quickstart Package, Cloud Zoom, Sliced PSD, 1170 Grid System, Modules Bundle Install, Google map, Commenting System, Online Store/Shop, Drop Down Cart, Search Form, LESS, HTML plus JS, Valid Coding, Categories Accordion, 2 columns, Wholesale Store, Business & Services. It is listed under "Joomla Template" > "VirtueMart 3". The name of the author is WT. The publisher name is Template Monster. 11+ users are already purchased this. It was first get published on March 17, 2015. On April 11, 2019, it was last get upgraded. 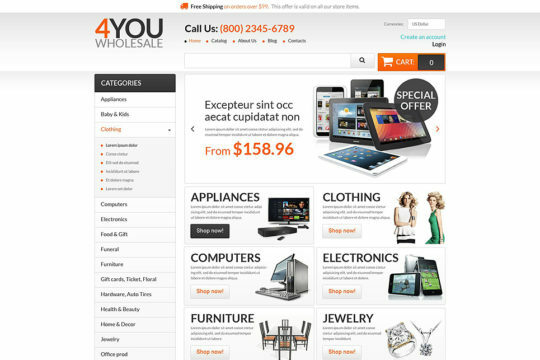 Tags: Ajax Shopping Cart, User Registration, Quickstart Package, 2 columns, Back To Top Button, Sample content, Sliced PSD, Calendar, Cloud Zoom, eCommerce, Real Estate Templates, Semantic Code, Modules Bundle Install, Business & Services, Categories Accordion, HTML 5, Live Search, Google Web Fonts, Parallax, CSS 3, Login Form, HTML plus JS, LESS, Google map, Crossbrowser Compatibility, Search Form, Valid Coding, Favicon, Real Estate Agency Templates, Dropdown Menu, JQuery, Blog, Commenting System, Custom Page Templates, Contact Form, Drop Down Cart, Online Store/Shop, Tabs, 1170 Grid System. 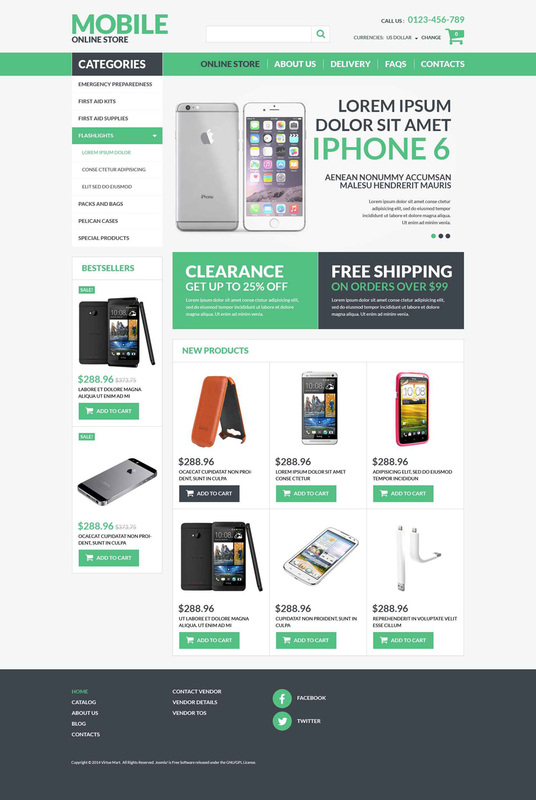 It is listed under "Joomla Template" > "VirtueMart 3". The author name is WT. The name of the publisher is Template Monster. More than 16 users are already purchased this. It was first get available on March 27, 2015. It was last get updated on April 09, 2019. 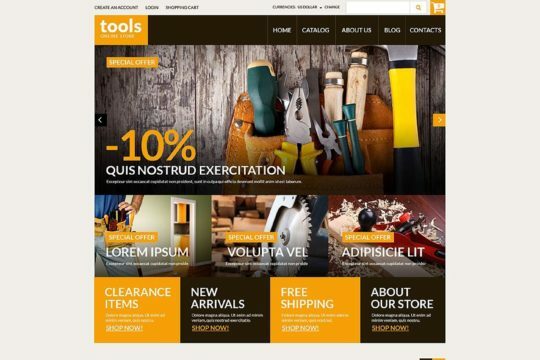 Tags: HTML plus JS, JQuery, Online Store/Shop, 2 columns, Tabs, User Registration, Favicon, 1170 Grid System, Fashion Templates, Google map, Search Form, Sliced PSD, Crossbrowser Compatibility, Modules Bundle Install, T-shirt Shop Templates, LESS, eCommerce, Login Form, Fashion & Beauty, Live Search, Cloud Zoom, Sample content, HTML 5, Custom Page Templates, Ajax Shopping Cart, CSS 3, Valid Coding, Categories Accordion, Drop Down Cart, Quickstart Package, Semantic Code, Dropdown Menu, Commenting System, Calendar, Blog, Contact Form. It is listed under "Joomla Template" > "VirtueMart 3". The author name is WT. The publisher name is Template Monster. 84+ users are already purchased this. It was first get available on May 22, 2015. It was last get upgraded on April 20, 2019. 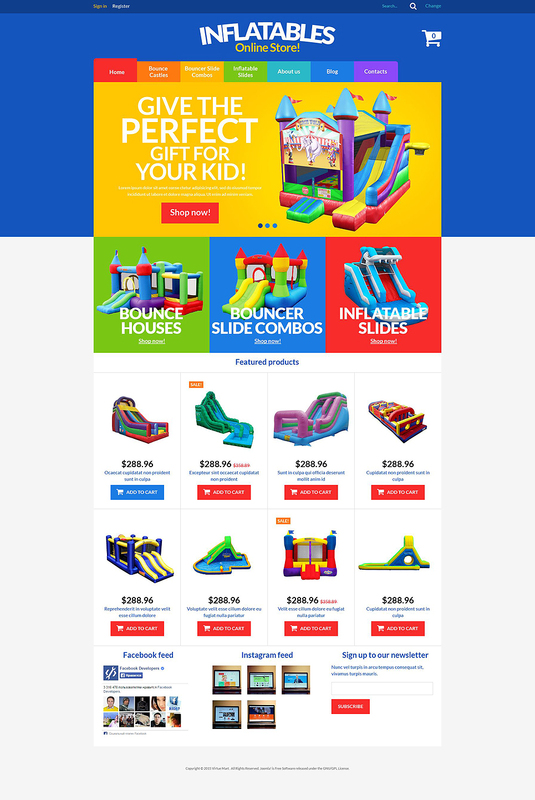 Tags: Valid Coding, Google map, eCommerce, Cloud Zoom, Home & Family, Crossbrowser Compatibility, CSS 3, Design & Photography, Quickstart Package, Online Store/Shop, Drop Down Cart, HTML plus JS, Calendar, HTML 5, Categories Accordion, Ajax Shopping Cart, Login Form, 1170 Grid System, Sliced PSD, Flooring Templates, LESS, Commenting System, Semantic Code, Favicon, JQuery, Contact Form, Live Search, Modules Bundle Install, Search Form, Interior & Furniture Templates, Sample content, Tabs, User Registration, 2 columns, Design, Dropdown Menu, Custom Page Templates. It is listed under "Joomla Template" > "VirtueMart 3". The author name is WT. The publisher is Template Monster. 100+ users are purchased this already. It was first get released on April 21, 2015. On March 19, 2019, it was last get upgraded. 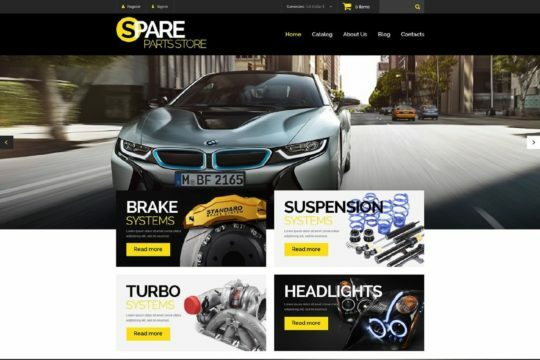 Tags: Online Store/Shop, Search Form, Sliced PSD, Auto Parts Templates, Favicon, Google map, Drop Down Cart, Parallax, Cars & Motorcycles, Lazy Load effect, HTML 5, Dropdown Menu, User Registration, Commenting System, Custom Page Templates, Modules Bundle Install, Live Search, Cloud Zoom, CSS 3, Blog, Car Templates, 1170 Grid System, Valid Coding, Login Form, Crossbrowser Compatibility, JQuery, Tabs, Semantic Code, Calendar, LESS, 2 columns, Sample content, Categories Accordion, Contact Form, Quickstart Package, HTML plus JS, Ajax Shopping Cart, eCommerce. It is listed under "Joomla Template" > "VirtueMart 3". The author name is WT. The name of the publisher is Template Monster. More than 36 users are already purchased this. It was first get published on January 30, 2015. It was last get upgraded on April 11, 2019. 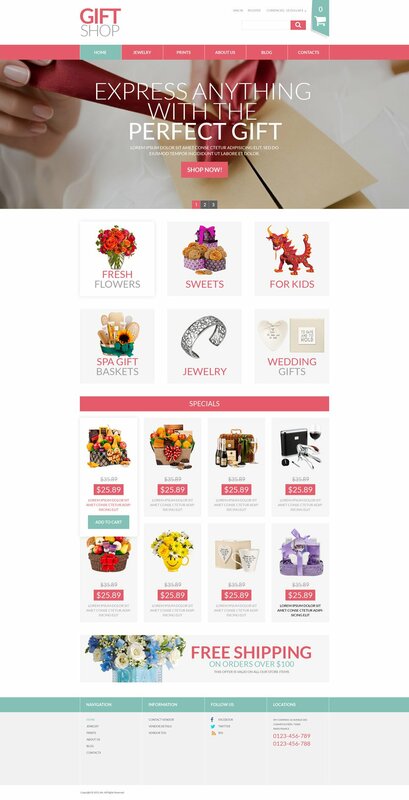 Tags: Calendar, Drop Down Cart, Dropdown Menu, Semantic Code, Gifts Store Templates, JQuery, Cloud Zoom, HTML plus JS, HTML 5, 2 columns, Crossbrowser Compatibility, Quickstart Package, Gifts & Flowers, Live Search, Holidays, Parallax, eCommerce, Contact Form, Sample content, Search Form, Sliced PSD, User Registration, Ajax Shopping Cart, Categories Accordion, Login Form, Commenting System, Valid Coding, Online Store/Shop, Modules Bundle Install, CSS 3, Custom Page Templates, Carousel, Favicon, Tabs, Google map, Gifts Templates. 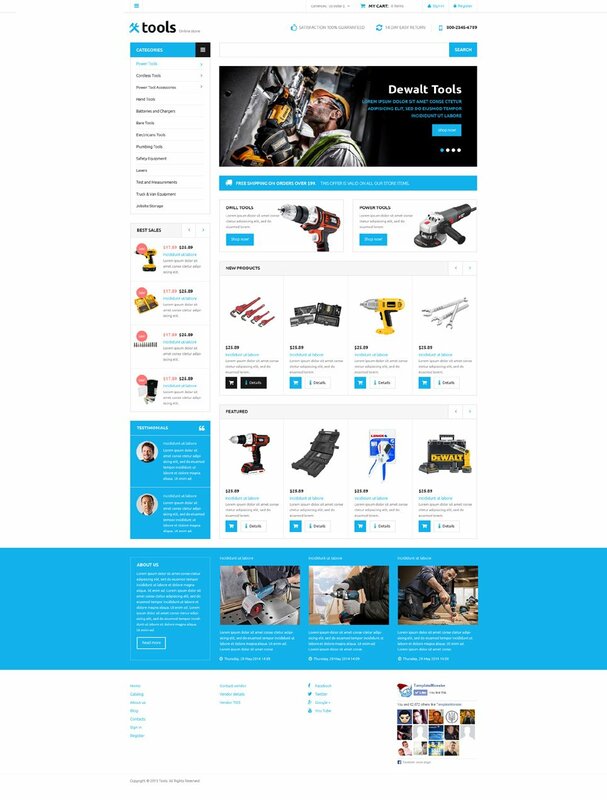 It is listed under "Joomla Template" > "VirtueMart 3". The author name is WT. The name of the publisher is Template Monster. More than 26 users are purchased this already. It was first get available on March 09, 2015. On April 11, 2019, it was last get upgraded. Tags: Cloud Zoom, Newsletter Subscription, Dropdown Menu, LESS, Food & Drink Templates, Online Store/Shop, Search Form, Google map, Tabs, Food & Restaurant, Calendar, JQuery, Sample content, Semantic Code, Quickstart Package, Contact Form, Categories Accordion, Favicon, Login Form, Live Search, User Registration, Ajax Shopping Cart, Custom Page Templates, HTML plus JS, Blog, Modules Bundle Install, CSS 3, Crossbrowser Compatibility, 1170 Grid System, Valid Coding, Sliced PSD, eCommerce, Parallax, HTML 5, Commenting System, 2 columns, Drop Down Cart. It is listed under "Joomla Template" > "VirtueMart 3". The author name is WT. The name of the publisher is Template Monster. More than 24 users are purchased this already. It was first get released on March 13, 2015. On April 11, 2019, it was last get upgraded. 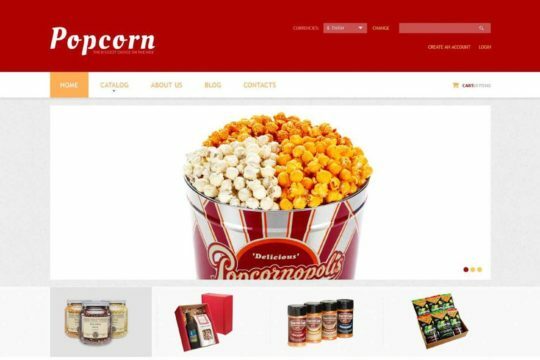 Tags: Calendar, Custom Page Templates, Sample content, Parallax, Ajax Shopping Cart, Food & Restaurant, Online Store/Shop, Favicon, HTML 5, Contact Form, Login Form, Google map, Cloud Zoom, Live Search, User Registration, Search Form, JQuery, Dropdown Menu, 2 columns, Cafe Templates, eCommerce, Categories Accordion, Video Integration, Carousel, Quickstart Package, HTML plus JS, Commenting System, Coffee Shop Templates, CSS 3, Semantic Code, Valid Coding, Crossbrowser Compatibility, Slider, Modules Bundle Install, Sliced PSD, Drop Down Cart, Tabs. It is listed under "Joomla Template" > "VirtueMart 3". It is developed by WT. The name of the publisher is Template Monster. 11+ users are purchased this already. It was first get available on January 27, 2015. It was last get updated on April 11, 2019. Tags: Cloud Zoom, Calendar, JQuery, Login Form, Custom Page Templates, User Registration, CSS 3, Dropdown Menu, Modules Bundle Install, Back To Top Button, Commenting System, Sports Store Templates, Sliced PSD, 2 columns, Categories Accordion, Valid Coding, Blog, Search Form, Online Store/Shop, Google map, Sample content, HTML plus JS, Semantic Code, Tabs, LESS, Contact Form, Quickstart Package, Lazy Load effect, HTML 5, Favicon, Sport Templates, eCommerce, Sports, Crossbrowser Compatibility, Live Search, 1170 Grid System, Drop Down Cart, Outdoors & Travel, Ajax Shopping Cart. 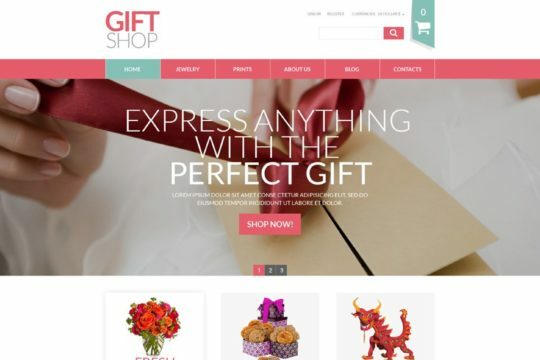 It is listed under "Joomla Template" > "VirtueMart 3". The author name is WT. It is published by Template Monster. 10+ users are purchased this already. It was first get available on January 09, 2015. It was last get upgraded on April 09, 2019. 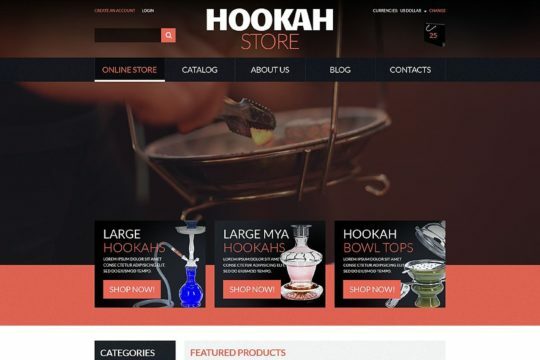 Tags: Online Store/Shop, Quickstart Package, Login Form, Contact Form, Dropdown Menu, Favicon, Commenting System, Business & Services, Tobacco Templates, LESS, 2 columns, Search Form, 1170 Grid System, Parallax, Valid Coding, Semantic Code, Cloud Zoom, Google map, Sliced PSD, Lazy Load effect, CSS 3, Calendar, eCommerce, Drop Down Cart, Crossbrowser Compatibility, Ajax Shopping Cart, Live Search, Tabs, HTML plus JS, Categories Accordion, HTML 5, Sample content, User Registration, JQuery, Modules Bundle Install, Custom Page Templates. 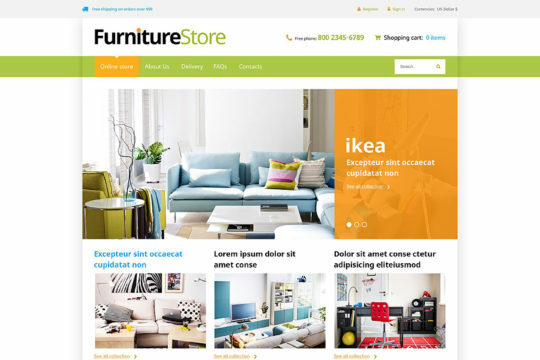 It is listed under "Joomla Template" > "VirtueMart 3". The author name is WT. The name of the publisher is Template Monster. More than 60 users are purchased this already. It was first get available on June 12, 2015. It was last get upgraded on April 09, 2019. 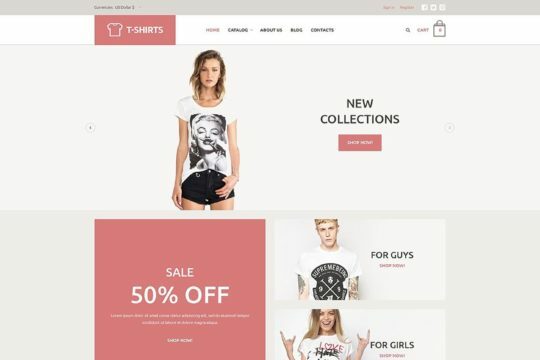 Tags: Online Store/Shop, HTML plus JS, Fashion & Beauty, Semantic Code, Quickstart Package, Crossbrowser Compatibility, Ajax Shopping Cart, Favicon, Calendar, JQuery, Custom Page Templates, Apparel Templates, Cloud Zoom, Sample content, CSS 3, Dropdown Menu, HTML 5, Modules Bundle Install, Fashion Templates, Search Form, Live Search, Contact Form, eCommerce, Categories Accordion, Blog, 1170 Grid System, Google map, Valid Coding, Drop Down Cart, LESS, Login Form, User Registration, Commenting System, Sliced PSD, Tabs, Parallax. It is listed under "Joomla Template" > "VirtueMart 3". It is developed by WT. The publisher name is Template Monster. 19+ users are already purchased this. It was first get released on April 10, 2015. It was last get upgraded on April 09, 2019. 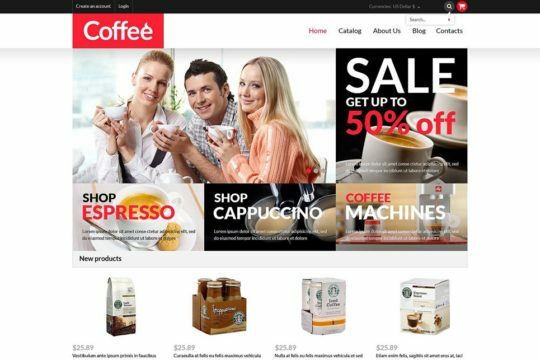 Tags: 2 columns, Furniture Templates, HTML 5, JQuery, Favicon, Google map, Blog, Quickstart Package, Contact Form, Search Form, Dropdown Menu, Online Store/Shop, Commenting System, Design, Ajax Shopping Cart, Sample content, Lazy Load effect, Semantic Code, HTML plus JS, Tabs, Crossbrowser Compatibility, Cloud Zoom, User Registration, Drop Down Cart, 1170 Grid System, Calendar, LESS, Design & Photography, Interior & Furniture Templates, Categories Accordion, CSS 3, Custom Page Templates, Modules Bundle Install, eCommerce, Login Form, Home & Family, Valid Coding, Sliced PSD, Live Search, Parallax. It is listed under "Joomla Template" > "VirtueMart 3". It is developed by WT. It is available at Template Monster. 10+ users are already purchased this. It was first get published on December 26, 2014. It was last get updated on April 09, 2019. Tags: Entertainment, Drop Down Cart, Login Form, Blog, Modules Bundle Install, Newsletter Subscription, Search Form, Online Store/Shop, HTML plus JS, eCommerce, Favicon, Live Search, Lazy Load effect, User Registration, Valid Coding, Contact Form, HTML 5, Back To Top Button, Tabs, Calendar, Crossbrowser Compatibility, JQuery, Custom Page Templates, Google map, Semantic Code, CSS 3, Sample content, 2 columns, Cloud Zoom, Categories Accordion, Commenting System, 1170 Grid System, Ajax Shopping Cart, Quickstart Package, Entertainment Templates, Games & Nightlife, Dropdown Menu, Sliced PSD. 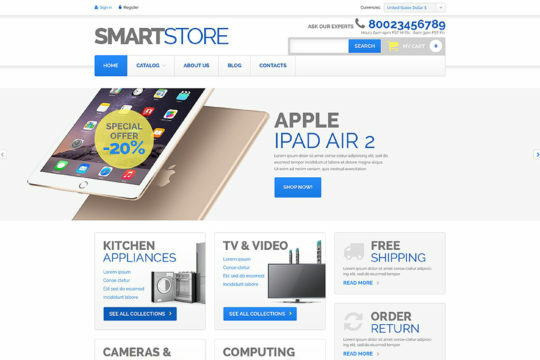 It is listed under "Joomla Template" > "VirtueMart 3". The author name is WT. The publisher is Template Monster. More than 24 users are already purchased this. It was first get published on May 29, 2015. It was last get updated on January 17, 2019. Tags: Contact Form, Ajax Shopping Cart, Crossbrowser Compatibility, Drop Down Cart, Categories Accordion, Cloud Zoom, Custom Page Templates, Favicon, JQuery, Calendar, 2 columns, Tabs, Electronics Templates, HTML 5, eCommerce, LESS, Electronics Store Templates, Login Form, Modules Bundle Install, Dropdown Menu, Commenting System, Quickstart Package, Semantic Code, 1170 Grid System, Blog, Online Store/Shop, Search Form, CSS 3, User Registration, Google map, Valid Coding, HTML plus JS, Live Search, Sample content, Sliced PSD. It is listed under "Joomla Template" > "VirtueMart 3". The name of the author is WT. The publisher name is Template Monster. 9+ users are purchased this already. It was first get released on November 12, 2014. It was last get upgraded on April 12, 2019. 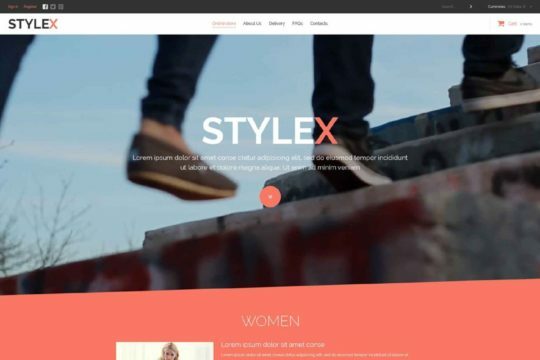 Tags: Favicon, Ajax Shopping Cart, Back To Top Button, Parallax, Fashion Store Templates, Commenting System, User Registration, Custom Page Templates, 2 columns, Categories Accordion, Live Search, LESS, Modules Bundle Install, HTML 5, Online Store/Shop, Quickstart Package, Sample content, Background video, CSS 3, Cloud Zoom, Slider, Sliced PSD, 1170 Grid System, Lazy Load effect, HTML plus JS, Valid Coding, JQuery, Dropdown Menu, Contact Form, Calendar, One Page Templates, Semantic Code, Search Form, eCommerce, Fashion & Beauty, Tabs, Drop Down Cart, Carousel, Login Form, Crossbrowser Compatibility, Fashion Templates, Blog, Google map. 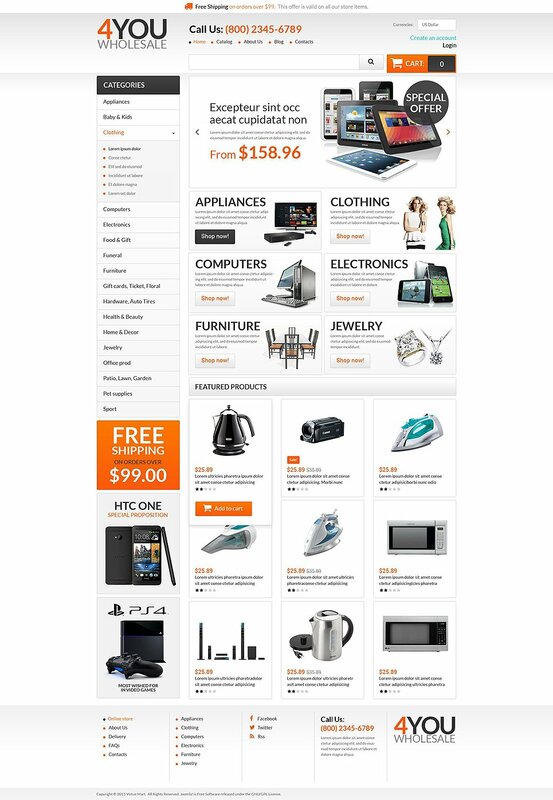 It is listed under "Joomla Template" > "VirtueMart 3". The name of the author is WT. The name of the publisher is Template Monster. More than 21 users are purchased this already. It was first get available on December 12, 2014. On April 09, 2019, it was last get upgraded. 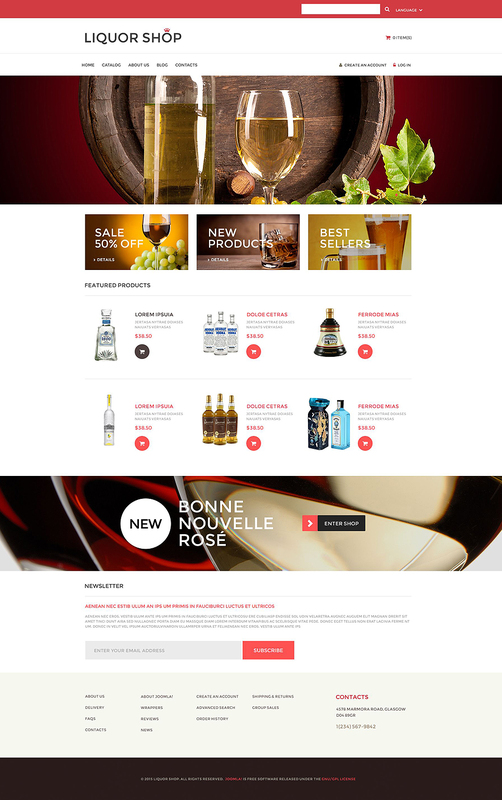 Tags: User Registration, Quickstart Package, Sample content, 1170 Grid System, Custom Page Templates, Lazy Load effect, 2 columns, Categories Accordion, Dropdown Menu, Ajax Shopping Cart, Google map, HTML 5, Login Form, Favicon, Contact Form, LESS, Cloud Zoom, Sliced PSD, CSS 3, Tabs, Semantic Code, Drop Down Cart, Valid Coding, eCommerce, JQuery, Live Search, Parallax, Home & Family, Commenting System, Blog, HTML plus JS, Online Store/Shop, Tools & Equipment Templates, Calendar, Crossbrowser Compatibility, Search Form, Modules Bundle Install. It is listed under "Joomla Template" > "VirtueMart 3". It is developed by WT. The publisher is Template Monster. 6+ users are purchased this already. It was first get released on November 21, 2014. It was last get upgraded on April 09, 2019. 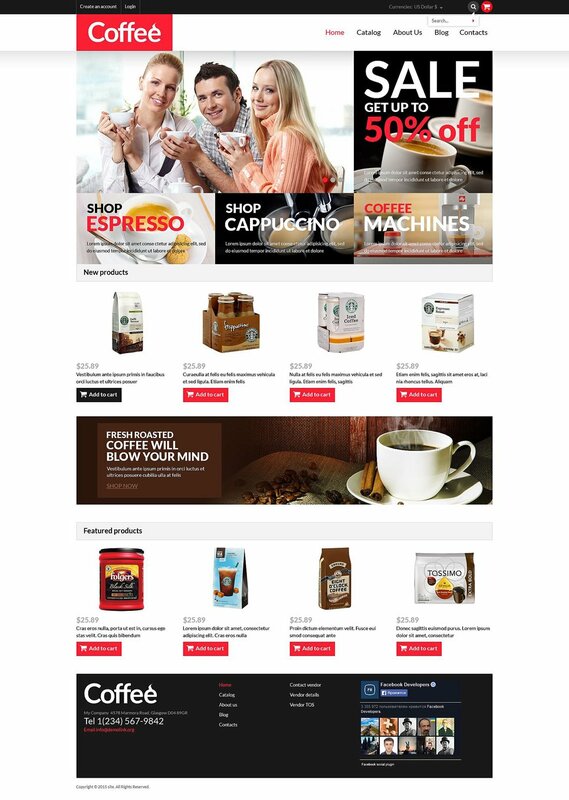 Tags: Dropdown Menu, LESS, Favicon, Food & Drink Templates, HTML plus JS, User Registration, Quickstart Package, Sample content, Parallax, 2 columns, Back To Top Button, Contact Form, Google map, eCommerce, JQuery, Semantic Code, Crossbrowser Compatibility, Valid Coding, Ajax Shopping Cart, Lazy Load effect, Categories Accordion, Custom Page Templates, Tabs, 1170 Grid System, HTML 5, Food Store Templates, Commenting System, Blog, Food & Restaurant, Google Web Fonts, Modules Bundle Install, Social Options, Calendar, Search Form, Background video, Sliced PSD, Drop Down Cart, Online Store/Shop, Login Form, Live Search, Cloud Zoom, CSS 3. You can use the below comment form to let us know your thoughts and opinion on the above Joomla templates. You can also ask any related question. Do you have any suggestion? Please submit it via comment. Your input is important to us to maintain a good quality of our blog. If you like this article please do not forget to share with your friends. To get regular updates from us you can either follow us on Facebook, Twitter, Google+ or you can subscribe to our monthly email newsletter. 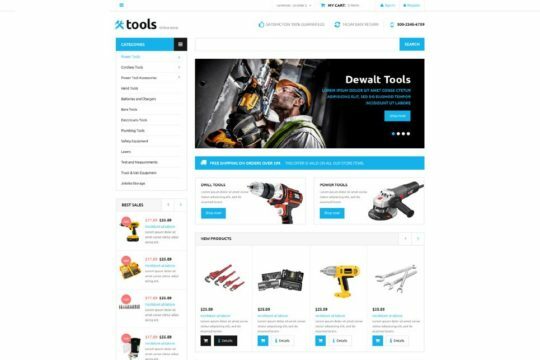 Thanks for collecting the wonderful list of Joomla templates. 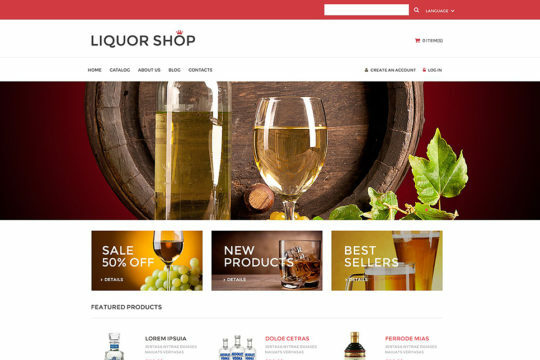 I noticed that some templates are developed to create an eCommerce website. 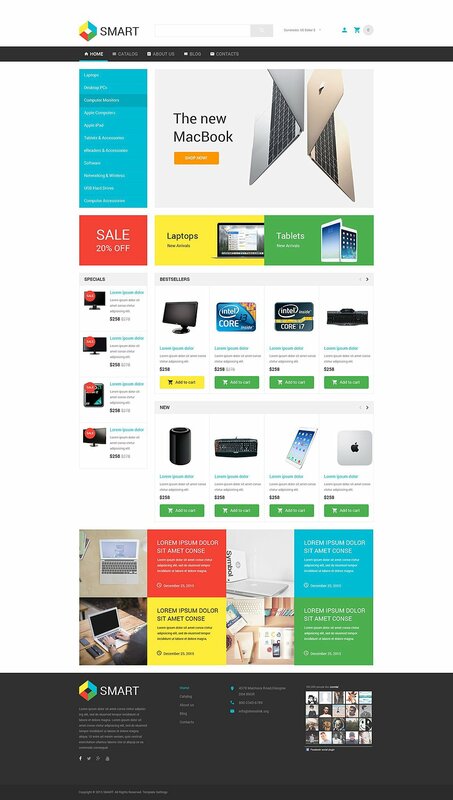 We have developed the one-page checkout for Virtuemart i.e VMcheckout. So take a look! !